On the app press the three horizontal bars on the top left hand side, then press Category. 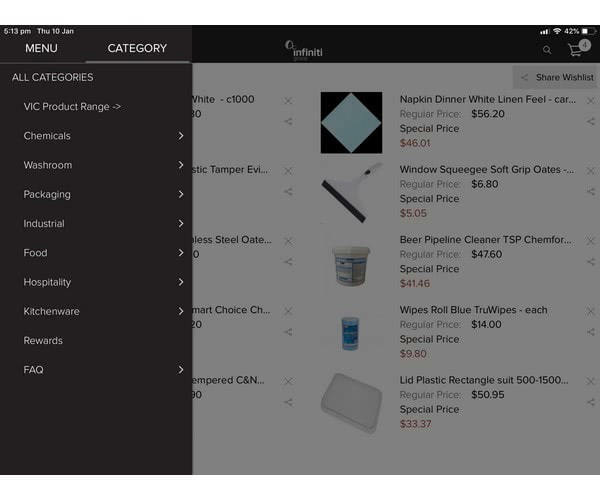 You will see a list of Categories as per the picture below, pressing each category will then navigate to the subcategory so you can view the products. 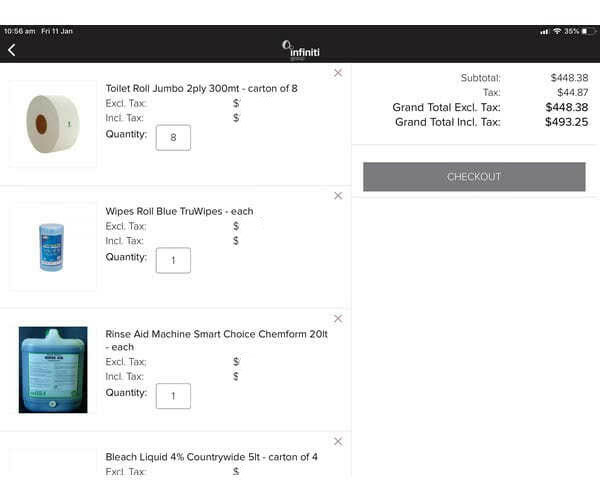 When you select a subcategory you will be able to scroll through the list of products in that section as per the image below. 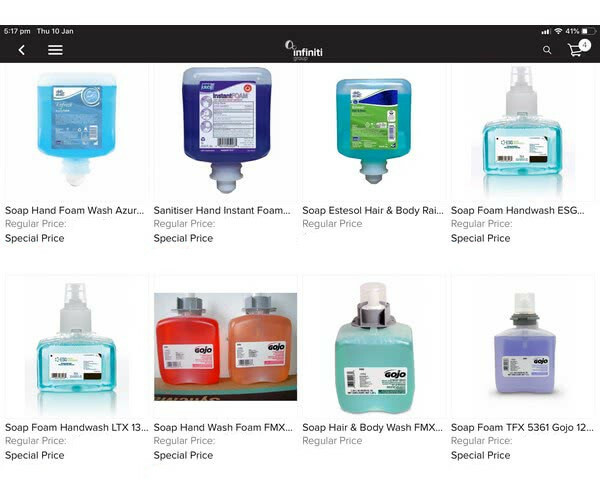 If you click on any of the product pictures this will take to the product page as per below, from here you can select how many you wish to order and press ADD TO CART. 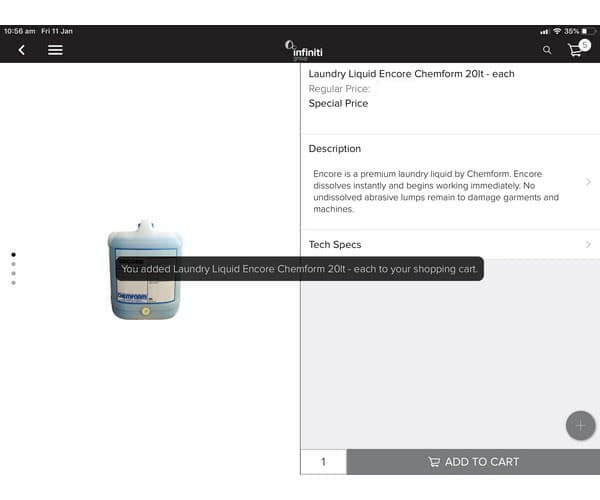 When you press ADD TO CART the black text will appear on screen to confirm this has been added.